Aanand L Rai Has Big Hopes On Tumbbad! 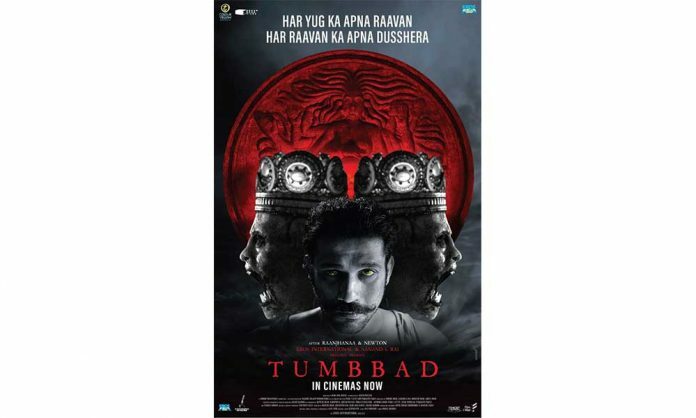 Home BOLLYWOOD Aanand L Rai Has Big Hopes On Tumbbad! Aanand L Rai whose love for cinema encouraged him to launch his own home production banner, Colour Yellow Productions has always stressed on the importance of creative processes and people behind the camera as the first vital steps towards good content. Having produced two successful films this year so far including Happy Phirr Bhag Jayegi and Manmarziyaan, the director-producer is set to showcase his latest offering, Tumbbad which hit theatres today. Aanand L Rai is all praises for Tumbbad, touted to be intriguing and visually stunning with never-seen-before content. The teaser and trailer of the movie have resonated well with the audience and the critics who couldn’t stop raving about the film. Tumbbad, an Eros International and Aanand L Rai’s presentation is a Sohum Shah film that has been made in association with Colour Yellow Productions and co-produced by Filmi Väst and Filmgate Films. The filmmaker now looks forward to one of the most anticipated films of the year – Zero featuring Shah Rukh Khan, Katrina Kaif and Anushka Sharma. Next articleAditya Seal Stands Out In Namaste England, A Surprise Element!